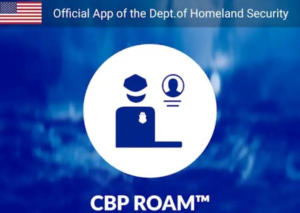 The U.S. Customs and Border Protection Agency has announced the launch of a new streamlined, yet comprehensive way to clear customs for boaters travelling from Canada to the United States. ROAM (Reporting Offsite Arrival-Mobile) is an alternative method to the typical face-to-face customs clearing that most people are used to. Small pleasure craft arriving to the United States must immediately declare themselves to U.S. Customs and Border Protection. Using ROAM, boaters have the option of remotely reporting their arrival through the app on their mobile phone. This method reduces wait times for clearance, as no officer is required on board to search the vessel. Instead, boaters input their personal information and the specifications of their trip and officers can choose to video chat with boaters and remotely inspect if they deem it to be necessary. The app is available on Google Play and Apple iTunes Store, and is currently in use in Alaska, Washington, Detroit, Port Huron and Sault St. Marie. More information can be found on the U.S. Department of Homeland Security’s website, or contact your local port of entry.